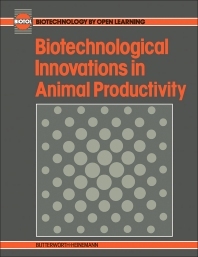 Biotechnological Innovations in Animal Productivity examines the application of biotechnology to animal production. The book focuses on the use of contemporary biotechnology procedures on the different facets of animal production such as the reproductive capabilities of animals, their growth rates, and the ability of the farmer and veterinary services to prevent and cure infection. The text contains chapters that discuss topics on the manipulation of reproductive processes, endocrine regulation of the oestrous cycle, in vitro embryo production and manipulation, vaccines, and the production of transgenic (livestock) animals. Biotechnologists, biologists, and livestock producers will find the book very insightful.